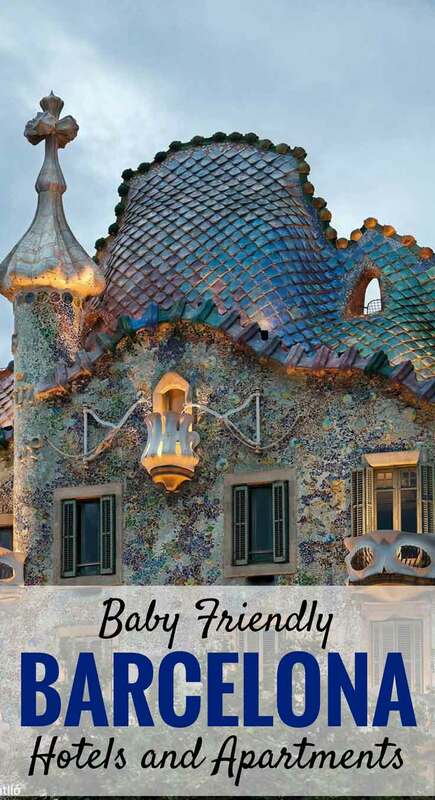 Barcelona is a great city to travel with your baby. We took our daughter here on our first trip with her when she was 3 months old. We had such a great time it became the inspiration for Baby Can Travel. We hope you love your trip just as much as we did! If you are visiting Barcelona to see the sights or visit the beach, your best bet will be to stay within the Gothic Quarter. This neighborhood has it all for travelling parents. The majority of Barcelona’s attractions are within this area and can be easily reached by walking. In addition, there are tons of restaurants, amenities, pharmacies and grocery stores. One area within the Gothic Quarter to consider avoiding is La Rambla as it may be loud and the south end of the street is reputed to be a little rough at night. 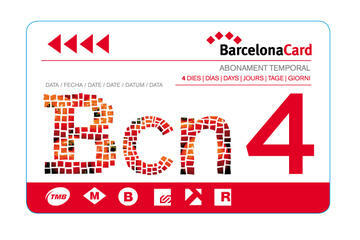 If you are visiting Barcelona primarily for shopping, your best bet will be to stay in Eixample. This area features less tourist attractions, but is a little more upscale and is focused more on high-end shopping and restaurants. 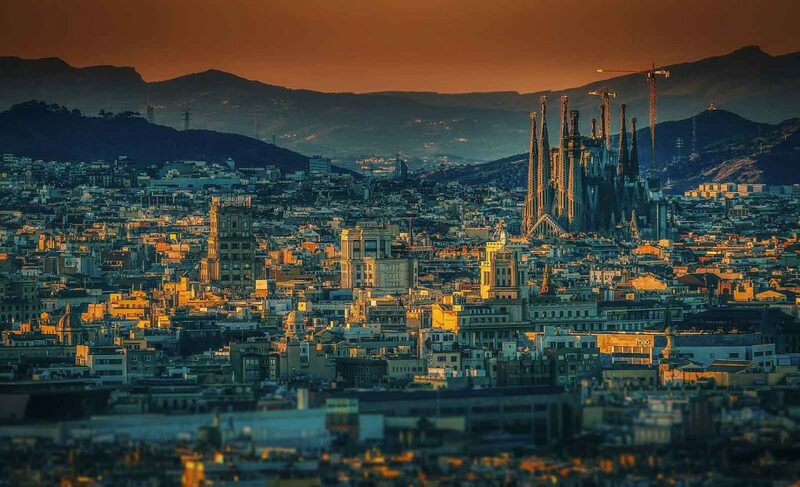 Read this post for the best transportation options from the Barcelona airport to your hotel. 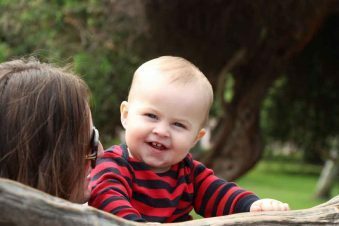 Renting an apartment can be an attractive option for parents with a baby. Apartments can often be found which have two bedrooms, a full kitchen and in-suite laundry facilities. To save you time, here are links to family friendly apartments on VRBO and Airbnb. If you haven’t tried Airbnb yet, sign up here for a $35USD credit towards your first stay. Finding a good hotel takes time, which we know you don’t have a lot of right now. Over the years we have developed a very reliable system for picking good baby-friendly hotels. We describe the process in detail in our blog post: Find the Best Family Hotel in 5 Steps. Rank in the top 20% of hotels in Barcelona on TripAdvisor. Have a guest rating of 4.4+ out of 5 on Expedia.com. Have air conditioning, complimentary cribs and Wi-Fi. Most of these hotels offer soundproofed walls. Imagine not having to stress about waking your neighbors when your baby wakes up in the middle of the night! 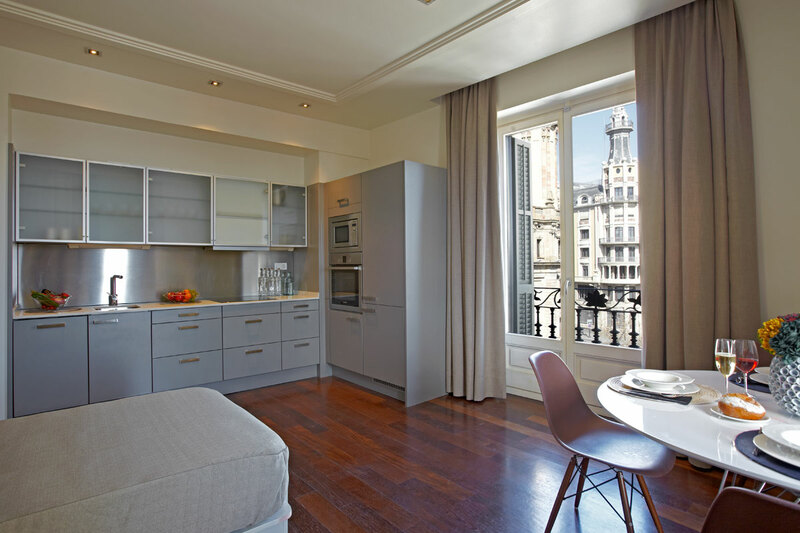 Suites Avenue has become an architectural icon and a benchmark for luxury stays in the heart of Barcelona. 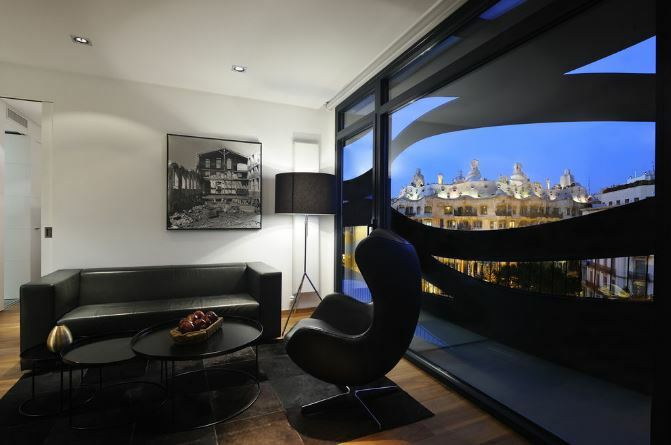 Suites Avenue boasts a superb location with spectacular frontal views of Gaudí’s Modernist La Pedrera building. Personalized attention and an unsurpassable range of exclusive services are available: gym, sauna, exterior swimming pools, communal terrace, parking and a museum that showcases unique pieces of Hindu and Buddhist art. Parents will appreciate the fully-functional kitchens with refrigerators, stovetops, microwaves, and dishwashers. The soundproofed walls will allow you to relax and not worry about disturbing other guests when your baby is crying. The suites even come with a washer and dryer to allow you to clean your family’s clothes mid-trip. Complimentary cribs are available upon request. Want a romantic dinner out? Babysitting services are available upon request (surcharge). See more pictures and compare prices at HotelsCombined. 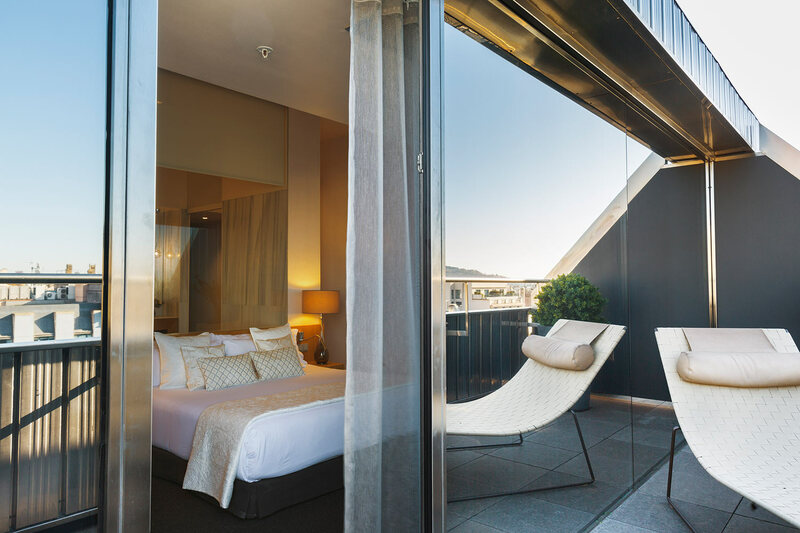 The Olivia Balmes Hotel is an oasis in the heart of Barcelona. 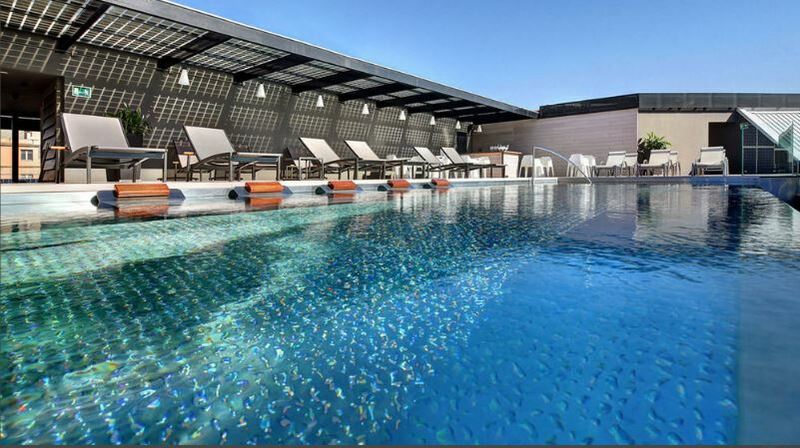 This 4-star superior hotel is located in Barcelona’s Eixample district and features free Wi-Fi, a rooftop pool & terrace, gym and a restaurant. All 128 rooms come with LED TVs, minibars, rainfall showerheads and 24-hour room service. Parents will appreciate the soundproofed walls which will allow you to relax, even when your baby is crying. Complimentary cribs are available upon request. 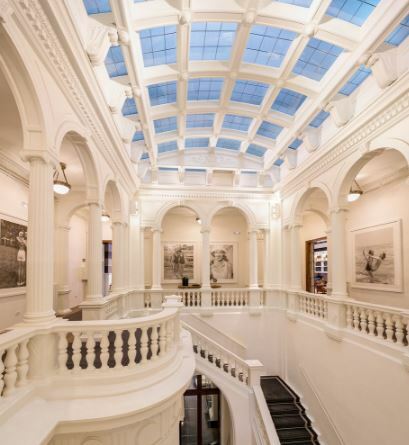 A unique renovation transformed an Eighteenth-century stately home into a luxurious hotel with 20 fully equipped rooms and modern facilities, so guests can enjoy an unforgettable stay in the city. The strategic position in front of the Old Port in Barcelona makes Duquesa Suites Barcelona a hotel with a privileged location between the Gothic district and its shops, history and monuments; and the spaciousness of the seafront. Along with a rooftop terrace, this aparthotel has a seasonal outdoor pool and concierge services. All 20 apartments have free Wi-Fi, sofa beds, flat-screen TVs, and coffee makers. Parents will appreciate the kitchenettes with refrigerators, stovetops, and microwaves. For a fee the hotel also offers onsite laundry facilities and babysitting services. 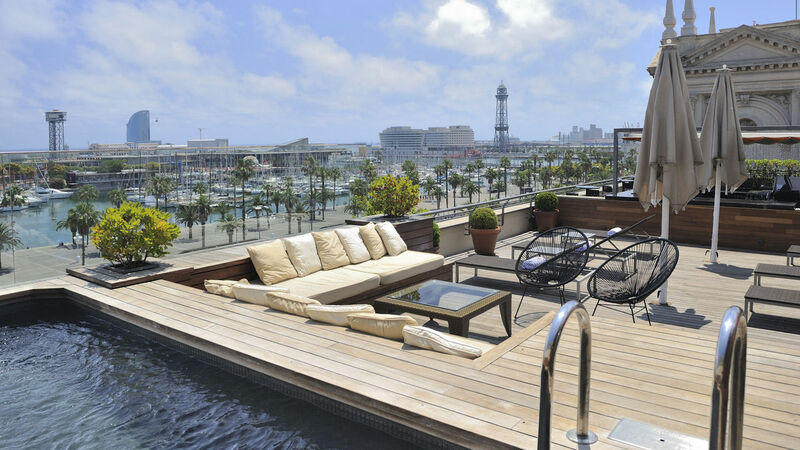 In the heart of the history of Barcelona, overlooking the port and just a few minutes’ walk to the beach, this luxury hotel is in a superb location. This hotel enjoys Mediterranean sun on the extensive solarium terrace. Here you can let your baby explore, while enjoying a magnificent, panoramic view of the harbor. Their gastronomic selection includes tapas, barbecues, fresh local products and a professional cocktail bar. Renovated in August 2015, the 59 guestrooms are furnished in a Moderniste style with plasma TVs, marble baths with large Turkish towels, minibars, bathrobes and slippers, and complimentary high-speed Internet access. Parents will appreciate the soundproofed rooms along with blackout window shades. This hotel also offers special rooms just for families. Hotel Granvia is surrounded by some of Barcelona’s most emblematic and historical landmarks, like the Pedrera, Casa Batlló, Palau Robert, Casa Fargas and Casa Ametller. The newly renovated Hotel Granvía is home to a special gem inside… a spacious and cozy terrace. Here you’ll find an oasis of peace and tranquility, right at the heart of Barcelona. The space will take you by surprise the moment you enter it. Parents will appreciate the soundproofed rooms and the ability to get connecting rooms. One child under 2 can stay for free if they use existing bedding. Located in Eixample, this hotel is within walking distance of Casa Mila, Casa Batllo and the world-famous Sagrada Familia. This hotel features a rooftop terrace, a coffee shop/café, free manager’s reception and coffee/tea in the common area. Parents will appreciate the soundproofed rooms, free WiFi, LED TVs equipped with Smart Android TV. Families can book a Family Room or a Deluxe Family Terrace, which give access to two spacious, bright, and adjacent rooms, interconnected with a private access way.